There are several active pest control methods for tackling rats and mice that have invaded the home. Rodent infestations have the ability to result in considerable amounts of damage to buildings and the health. These pests are the known carriers of numerous diseases that may have a detrimental impact on the health of both humans and their pets. The population of a rat infestation or an infestation of mice has the ability to expand very quickly. The best home pest control method for rodents is to take preventive action to ensure that an infestation does not occur. Once an infestation has developed, you will need to enlist the assistance of a pest control company to overcome the pests. In this guide, you will be introduced to preventive active pest control methods for preventing rats and mice from invading your home and property. One of the most effective active pest control methods for preventing a rodent infestation is to eliminate any and all food and water sources. Rats and mice are not picky eaters. In fact, these pests are known to consume absolutely anything. To reduce the possibility of an infestation, you must first learn the most common food sources, and eliminate those. On the outdoor region of your home, items such as foods for birds and squirrels will attract rodents. In addition to this, pet foods, food in compost bins, cultivated fruits and vegetables, pet feces, and garbage will attract rodents. 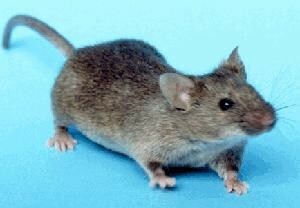 On the inside of the home, all of the same food products that we consume are attractive to rats and mice. Keep food products stored in plastic containers and avoid leaving pet foods out and open. In addition to this, pet water bowls should be monitored. Water should not be left standing in sinks or bathtubs. Seal up open areas around pipes and wires are known to enter your home. Examples include underneath eaves, along the foundation of your home, and around windows. When sealing holes where rodents may enter, be certain to use a hardware cloth. If this is not available, use mesh, or any type of steel wool pieces. All attic and crawl spaces within the home must be completely sealed to avoid becoming the subject of a rodent infestation. As you can see, there are many active pest control rodent prevention techniques that may be used in and around the home. By taking the steps contained in this home pest control guide, the likelihood that rats and mice will enter your home will be drastically reduced; however, should you find that your home becomes the subject of an infestation, there are many pest control companies that are standing by and waiting to assist you in eliminating the rodents that have invaded your residence. Due to the diseases that rodents carry, and the potential for contamination in and around the home, it is best to opt for professional active pest control services for a live infestation.